1. If you haven't an account then create an account in GiftsKorea. When you create an account then you can be tracking your order status easily. Also, you can be placing an order by guest account. Add billing and delivery information at your account. 2. Choose your item and click on the button Add to Cart. 3. Try to click on the checkout from top of right side viewed Cart. 4. Fill up and check at all then will be appeared 3 kind payment method. If not shown payment methods means need more fill up and marking check. 5. If you want to put gift message and delivery instruction on your order than you can enter messages during checkout or be using send message through Contact Us or mail to info@Giftskorea.com If you not left instruction than we will deliver your order with our standard gift message as from your name only on the card in same day delivery(Within 24 Hours) in case fresh flower products. A single cake is next day delivery as a noted product page. 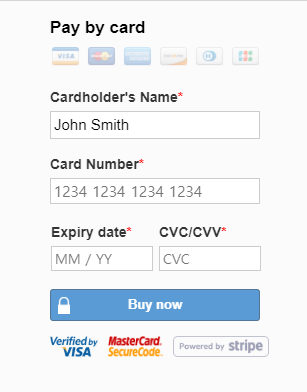 We recommend using stripe for Easy Payment process. Corporate gift or Business gifting Order. Whether you're ordering for a handful of important clients or making sure everyone in all the branches of the company gets a great gift, we make it easy to order as many gifts as you like, all at once including listed or not listed. Use your Bulk order as shipping instructions by Excel, Word, Text format included recipient's name, delivery address, mobile no. in Korea, gift message, desired delivery date to us by email as info@giftskorea.com And Placed your order on the web, and send gift baskets for teams to share, cake, hamper & wines for the aficionados on your list, and keepsakes that are perfect for commemorating their loyalty. We're here 24x7 to help you create your perfect holiday gift campaign - send us your Bulk Order today. Stripe, accept Visa, MasterCard, American Express, Apple Pay, Discover, DinersClub, JCB, UnionPay, Maestro, UnionPay, ACH Credit Transfer, Bancontact, Giropay, iDEAL, and more from Global. If you faced trouble then let us know let us know your country with the type of card by email (info@giftskorea.com) for improve and recommend using PAY BY INVOICE(Invoice will be sent to your email) for Easy Payment process. When you've got a PayPal account than recommend to use PAY WITH YOUR CARD OR YOUR PAYPAL ACCOUNT. 1) Place your order on our website with your address in billing and Recipient's information at Delivery as shipping. 2) You will be receiving an invoice via PayPal to your E-mail then you can Pay on the Invoice by your credit card easily. Also, you can pay to info@giftskorea.com via PayPal without the invoice. 3) After your paid, we will send a confirmation by email. We recommend to use this payment method for the First-time visitor and has trouble with other payment methods. 1) Place your order on our website. 2) Instant Checkout or Register your account. 3) Add your billing and delivery address including the mobile number of the recipient. 4) Check the delivery address as the billing address for PAY WITH YOUR CARD payment method. When you using pay with your credit card via PayPal than using same address in billing and shipping address as the delivery address in Korea during check out procedure. Must add delivery address with mobile no. in Korea for right delivery. Of course, you can leave Gift message during check out for knowing from whom. 5) If you put in billing and shipping as your address than Please indicate the following information in the leave a message box. Your personal gift message or note to the recipient. If you are having a problem, please choose Stripe or PAY BY INVOICE(Invoice will be sent to your email) . * When you Instant Checkout than type your billing address at delivery address for clearance PAY WITH YOUR CARD payment method. And leave a delivery address with a name, phone no., gift message, desired delivery date at Leave a message. If you are having the problem, please feel free to contact us at info@giftskorea.com. We will be happy to assist you. After placing your order online you will receive an “Order confirmation “Page, which will have an online order confirmation number on it. This is confirmation that your order was successfully been placed. If there are any problems with your order, one of our customer service associates will contact you by phone or email. Please print and save your confirmation page for your information. An order confirmation message should be e-mail to you shortly after we receive your order. However, If you do not receive the email within a few minutes of placing your order, please feel free to contact via email to ensure that your order is being processed. Also, verify your registered email address at GiftsKorea.com. Hard as it may be to believe, Giftskorea email has been flagged as spam in the past, so please check your spam or junk folder if you haven't already done so. We have some tips on avoiding this scenario further down. What if the recipient does not receive the mobile voucher of Giftpop via MMS? Your recipient may not receive MMS due to reasons such as your recipient mobile device, communication environment, and joining the spam service. 3) Check if the sender's spam is set: If the sender is subscribed to additional service related to web blocking, the normal reception will not be done. 4) When the receiver turns off the power of the terminal (& airplane mode) (Overseas, underground, mountainous area, other places where transient communication trouble occurred). 6) If received without Bar Code then will be using Mobile voucher No. for redeeming at the retail store. It happens by mobile device's environment. Change of the delivery address or date of delivery is possible, as long as your gift has not been delivered or is not on its way to being delivered. To request a change of your order’s delivery please email us at info@GiftsKorea.com. Please include your order number. Giftskorea does not allow orders to be edited or cancelled after acceptance of the order pursuant to our Order Acceptance Policy described above or, if earlier, within forty-eight (48) hours of the requested delivery date or within the seven (7) days prior to Christmas, Valentine’s Day, Parent’s Day (because of our extremely high volume of orders during these times). Notwithstanding the foregoing, orders for products on the giftskorea.com site may not be canceled once the order has been accepted. Can I write shipping information in English or Korean? Yes, you can write shipping information either in English or Korean. It is very important that you indicate the phone number of the recipient to verify the address information. Will the product look exactly like the picture? Many of the products on our site are our own unique designs. This means they may not be available for delivery to all areas. We make all orders as close as possible to the picture. If a certain flower variety or container is out of stock, we will substitute with something similar. All orders are always filled to value and made as close as possible to the requested item. If there is any problem, we will contact you. Our professional drivers may choose to leave the gift with a neighbor to ensure delivery that day. Some deliveries may be left at the door or on the porch if it is safe(weather permitting). In all cases, the goal is to ensure that the recipient gets their gift in a timely manner. For safe delivery than required recipient's mobile no. for an arranged appointment of delivery time. Can I enclose my personal message together? Yes. You can enclose your personal message on the card. You can leave the Gift message during checkout. Can I put desired delivery date? Yes, You can put the desired delivery date at Leaved Message during check out. Can I make the order ahead of time and write down the date I would like it to be delivered? Can you deliver the gifts anywhere in Korea? Yes, except some isolated islands and parts. My recipient is English speaker who doesn’t speak Korean. Will the gifts be delivered reliably? If you want to instantly access your GiftsKorea account from your mobile phone, you can easily set up a home screen shortcut. A home screen shortcut will appear on your phone alongside your other mobile apps and, when clicked on, it will open your GiftsKorea account. Although GiftsKorea does not currently have a mobile app, you can access your account on your phone’s web browser, and this phone home screen shortcut gives you a way to use GiftsKorea as if it were a mobile app. Here’s how to set up a Mobile Phone App Shortcut to make your GiftsKorea software act like a mobile app. Open a web browser on your iPhone and log into your GiftsKorea account – select the Remember Me box if you want to save time down the road. Once logged into your account, choose the download button on the bottom bar of your screen (it looks like a rectangle with an arrow pointing up). Go back to your phone’s home screen and find the GiftsKorea app icon. It should look like a mini version of the summary screen in the icon. Open a web browser on your Android mobile phone and log into your GiftsKorea account – select the Remember Me box if you want to save time down the road. Go back to your phone’s home screen and find the GiftsKorea app icon. It should look like a green square containing a capitalized G.
Can I place the Customized order? Yes, you can as the Customized request or Special request for listed and not listed as Wine, Whisky, Cognac, Champagne. Can you send the gifts to U.S. military base in Korea? Yes. We have a lot of orders to U.S. base in South Korea. Please do not forget to write a name of the base, recipient's name with APO address and Korean address for right delivery. We can deliver to the guardhouse of Camp than need mobile no. or tel no. for pick up your order. Can you send the gifts to ESL teacher in Korea? Yes. We have a lot of orders to ESL teachers in South Korea. Please do not forget to write a name of the school, recipient's name with school or resident address. We can deliver to both then need mobile no. or tel no. for right delivery. 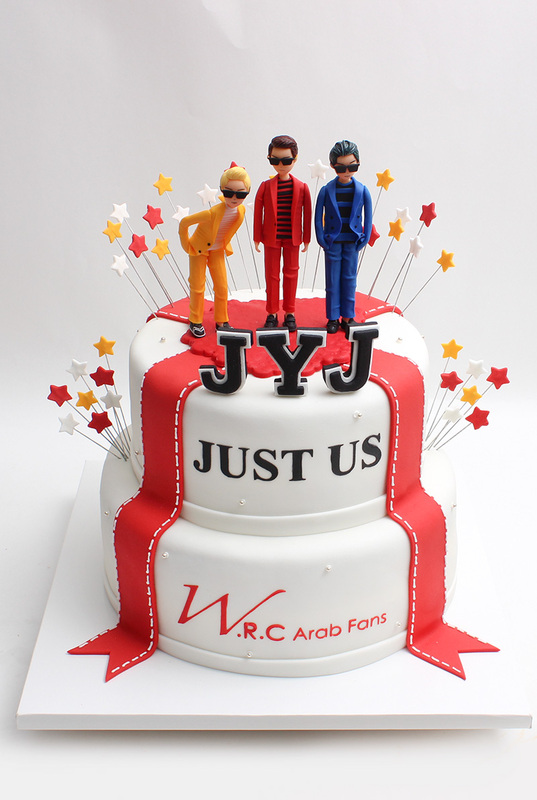 Can you send the gifts to K-PoP Star in Korea? Yes. We have a lot of orders to K-POP Star in South Korea as BTS, GFriend, so on. Please do not forget to write a name of the K-POP Star and company name with address or Name of Concert with location and time. We can deliver to both then need a tel no. for right delivery. Can you send the gifts to Hotels in Korea? Yes. we can deliver your order to Hotels in South Korea. Please do not forget to write a Recipient's name with hotel check-in information with Hotel's name, Tel no. with location. Can you send the Singing telegram service in Korea? Yes. we can deliver your order in South Korea. Please let us know a Recipient's name with Tel no. with location address by contact us then will quote you. Is payment through Western Union possible? When you paying by Western Union than let us know your name, country, Transferred Amount, MTCN with selected item name, Q'ty, Recipient Name, Address, Mobile Number, Gift Message, Desired delivery date. It's may be taken 3~4 days advance payment is safe for delivery. Can you send gifts to overseas from Korea? No. We can not accept the request to deliver the gifts to overseas from Korea at this time. I DID NOT RECEIVE ANY CONFIRMATION E-MAIL AFTER MAKING A PURCHASE. HOW DO I KNOW IF I SUCCESSFULLY MADE A PURCHASE? Please first check your SPAM folder if our email ended up there by accident. If it is not there, you might have made a typo when inserting your email address in the email field or a higher force interfered with your order and we didn't receive it. In this case, please get in touch with us and we'll let you know if your order was received and we can check if all data is correct and can resend you your confirmation email.